This year’s RDO7 conference 2016 was a huge success with inspirational speakers and presentations, many excellent connections created, and overall a wonderful time had by all the delegates that attended. 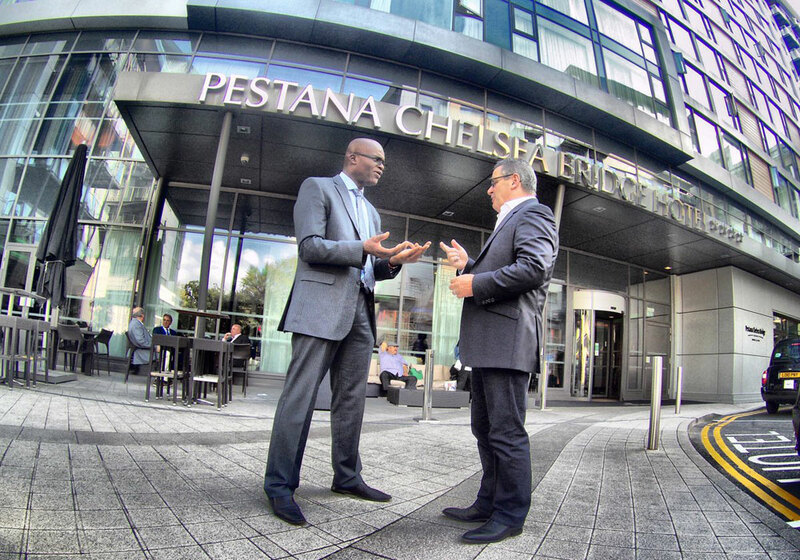 We once again returned to the beautiful Pestana Chelsea Bridge Hotel and Spa in London where RDO5 was held two years ago. Both the hotel and London provided an excellent setting for RDO7, as the focus of this year’s conference was very much on looking towards the future. London is a city which perfectly exemplifies this feeling, as it is constantly innovating, improving and developing. In the short space of two years, there have been massive changes going on across London, including the area surrounding where the hotel is located. 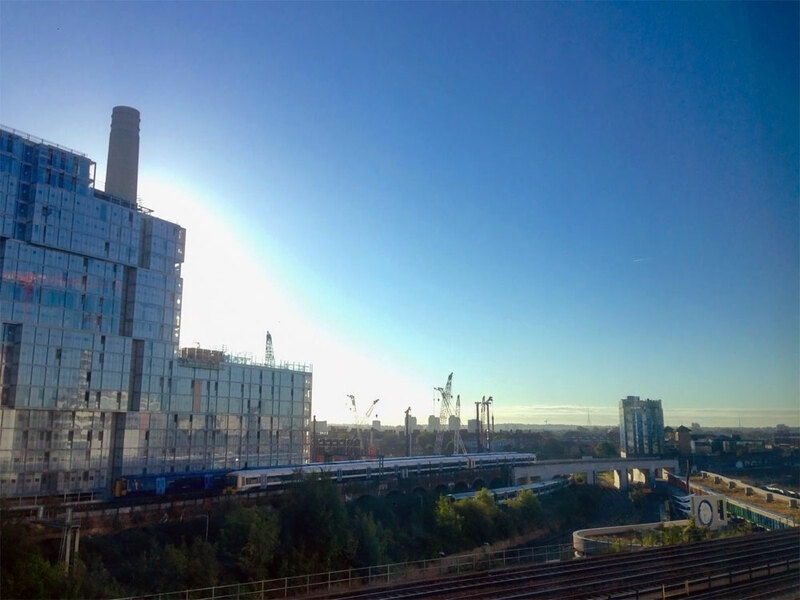 The completion of the iconic Battersea Power Station rebuild is scheduled to be finished by the end of the year, forming the heart of London’s newest neighbourhood. This is great news for the Pestana Chelsea Bridge Hotel and Spa as it is has a highly desirable location in what will surely be one of London’s most fashionable places to stay. This redevelopment also perfectly exemplified the theme of RDO7: Taking Ownership. In the face of recent economic and political turmoil, the decommissioned Battersea Power Station could have been left to crumble or be demolished. Instead, it’s use has been completely reimagined with luxury apartments, retail space and businesses. This includes Apple’s new London headquarters. This is truly an amazing example of innovation, even in the face of outside economic and political barriers, in which an old icon has been given a whole new life! Innovation and a reimagined future vision is also exactly what the timeshare industry needs to embrace in order to thrive and continue growing just like London has. The industry has a fantastic product with huge popularity among its owners, but this situation may not remain the same, if resorts fail to take ownership of their own destiny. The world of travel is changing rapidly so it is imperative that industry leaders take the relevant steps necessary to adapt to the needs of the modern day traveller, hence this year’s theme of taking ownership. Over the two days at RDO7 conference delegates were treated to some brilliant presentations by a fantastic group of keynote speakers: Kriss Akabusi, Caspar Berry, Simon Hazeldine, Gareth Dunlop, Andrew Stewart, Thomas Landen and Paul Hardingham. There were very insightful sessions from industry insiders: Peter Booth, David Gilbert, Gordon Gurnik, Richard McIntosh, Howard C. Nusbaum, Steve Pentland. There were also two very useful breakaway sessions, one with Eugene Miskelly, Jose Echenagusia, Henry Bankes, Rob Webb, Paul Gardner Bougaard, and the other with John Beckley and Steve Clarke. All of these presentations and sessions covered a variety of different topics regarding travel, sales techniques, technology and other issues related to timeshare. The overall message of all of these were though, that the industry needs to adapt to the changes happening all around and cannot simply continue with the status quo if it wants to survive. As shown by various surveys and data, those deciding to own timeshare and stay at timeshare resorts are generally very satisfied with their accomodation and their holiday experience, but in order to stay relevant, resorts need to innovate otherwise future generations may not choose timeshare as their vacation style of choice. As shown by Battersea Power Station, the possibilities are endless. RDO would like like to take the opportunity to thank Pestana Chelsea Bridge Hotel and Spa for providing such a fantastic venue for the conference. The accommodation, staff, food and drink and overall atmosphere were all second to none. Your hotel is an excellent example of a forward thinking brand that perfectly meets and exceeds guest needs. We are also pleased to see the Pestana group has embraced the digital age with a wonderful website and excellent use of social media including quality photos and videos. Your brand offers a superb example to the industry. We would also like to say a fond farewell to the inspirational Vivienne Noyes Thomas, who has dedicated her time over the last six years to raising money for Christel House, the brilliant non-profit organisation raising money for children in need. We wish her all the best in her retirement from the position, in which she will be spending some much deserved time on personal pursuits. We wish to extend our thanks to the conference sponsors, to the conference working group and to Robin Mills, who once again did an outstanding job as conference moderator. If you would like to discuss anything with RDO regarding this blog post or other relevant topics, then simply add the hashtag #RDO7 or #RDOdigital to your tweet. Alternatively search #RDO7 or #RDOdigital on Twitter to see what else we’ve been discussing and you can easily get involved in the conversation. Also make sure to follow RDO on social media to keep up to date. The RDO7 conference 2016 was sponsored by CLC World Resorts & Hotels, Diamond Resorts International, Interval International and RCI at the Platinum level, and Dial An Exchange, Generator Systems and Shawbrook Bank at the Gold level. We thank them for their support.